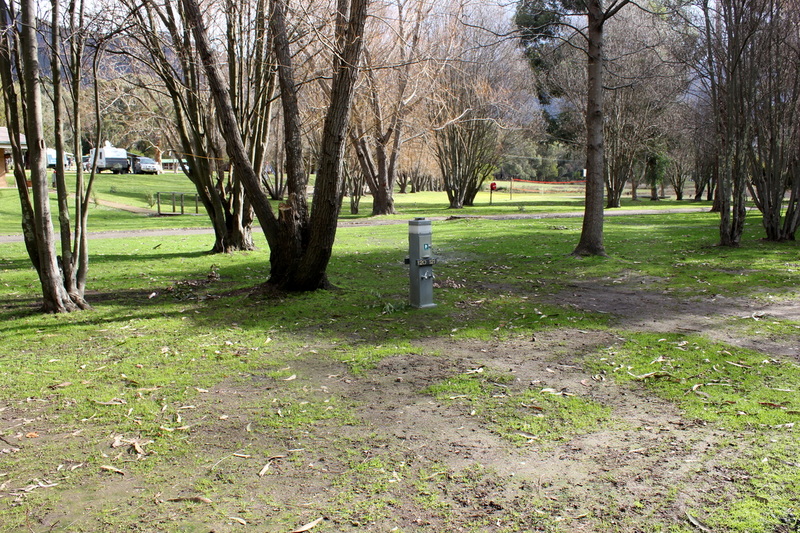 We don’t frequently stay at caravan parks but occasionally its nice to know exactly where you can get a hot shower, toilets and all the other conveniences that go with these parks. We chose this one, over the other 2 in the town because it appeared to be more quiet than the others, plus we came to the Grampians so the children can explore, and not play on gigantic jumping pillows etc found at some of the big parks. 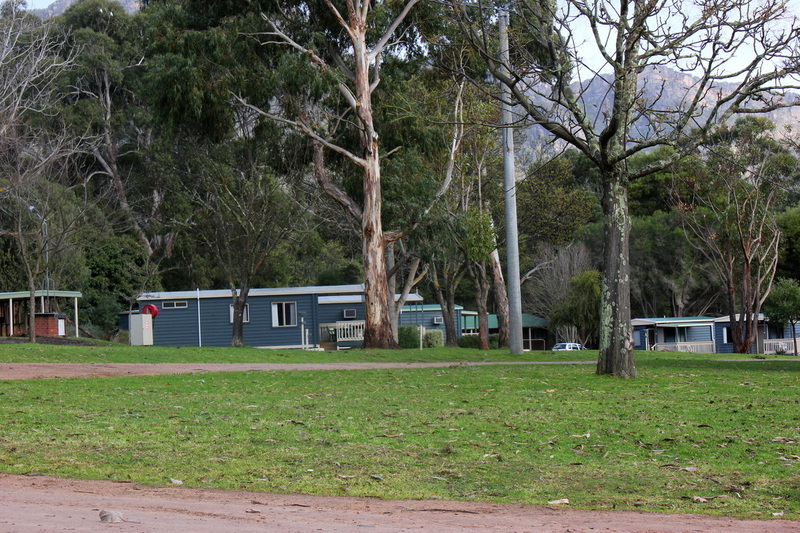 It is located about 4kms out of Halls Gap and is a very pretty and well cared for park, with friendly owners who are doing a lot of work to improve and enhance an already lovely location. Lakeside has powered and unpowered sites, and a variety of cabins available. There is an accommodation option available for every sort of traveller. 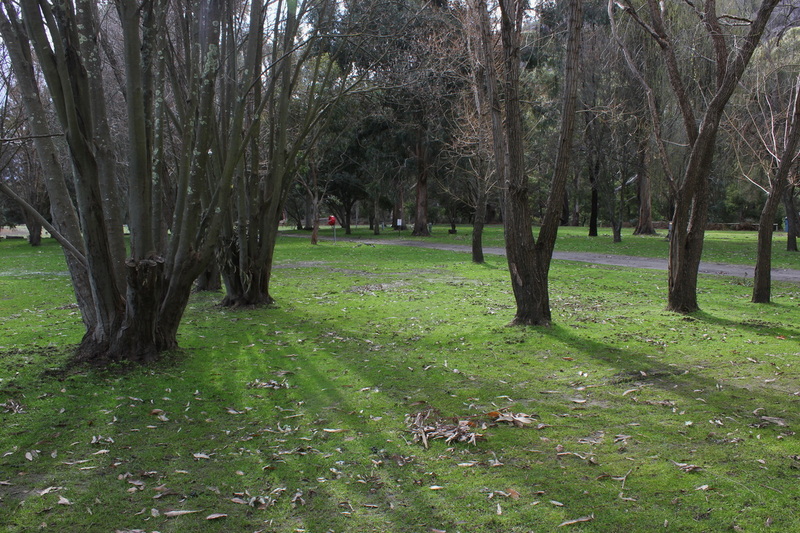 Powered sites are spread throughout the park, mostly all grassed, though there were a few with concrete slabs. Every site has water as well. Whilst there is not much privacy between sites, this is common amongst all parks, so those of you who frequently caravan would know this is a typical experience. Sites furthest from the entrance are very well shaded and this area could allow a number of caravans/campers in this area. As a tent based camper, we would probably choose this area (and get the benefit of water and power). The sites are well grassed and ground is soft enough for tent pegs. The mountains offer protection from the winds, so shelter is good for all camping needs. Bush camping seems to be the least common option here, but is available. The main amenities block contains a large laundry (clean and spacious), men and womens toilet/showers and baby area. These areas were also very clean and the water is lovely and hot! What is great about the amenities at this park - new and old, is the care that is taken with them and thought such as clean buckets and mops outside every shower to ensure everyone can mop out the shower recess when finished (as opposed to some parks where they have 1 grotty bucket of water for the whole shower block). An excellent, large camp kitchen with breakfast bar is in the same building. It was clean and well stocked. To gain entry to this kitchen you go through a common area with tables and chairs, sofas, and, a lovely, open fire. Each afternoon this fire was lit and the heat it generated was fantastic on a cold evening. Definitely a place to gather and warm yourself (or watch a large screen TV). A new amenities block has been built and it is a stylish addition! Individual bathrooms (comprising shower, toilet and sink). The cabins vary in size and price. A budget cabin has everything you need for a short stay, especially if you don’t want to camp in winter! Whilst the budget cabin is not huge, they were clean and comfortable and have been modernised with a small but modern and functionable bathroom. A very large range of cabins of all shapes and sizes and prices are available. See the website for details. The Park has a playground area, basketball area, swimming pool, volleyball, springless trampolines and the main attraction…..the wildlife. NEVER have I seen as much wildlife anywhere in Australia as I did in Halls Gap. The town is overrun with kangaroos. Overseas tourists looking for a close encounter with a kangaroo, should not pay to go to a zoo. See them here, in the wild. 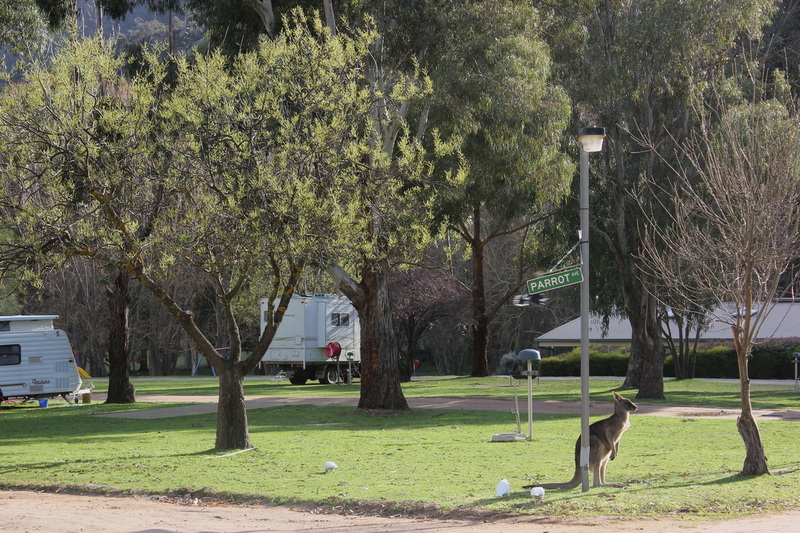 At the Park, kangaroos are EVERYWHERE. One late afternoon, I counted around 40 on the powered sites near us, plus close by at least another 40 grazed. They are there in varying numbers day and night. Emus graze throughout the park, wild deer wandered by, and the crimson rosellas and sulphur-crested cockatoos are more than friendly, and will land on you should you have some seed to feed them. This was a big highlight for the children – they were amazed that wild birds would flock down to them. I think if you are looking for a caravan park in this area, this would definitely be one to look at staying at. We have returned to this park since our initial visit and review, and find it still to be the best in the area. Our children refuse to even contemplate staying anywhere but here.